After getting a little lost downtown, and a helpful tweet, I found the Pie Pushers truck (@PiePushers) outside of Bull City Co+Working. I ordered a slice of Spicy Goat pizza (goat cheese, banana peppers and pineapple) and a slice of pepperoni. 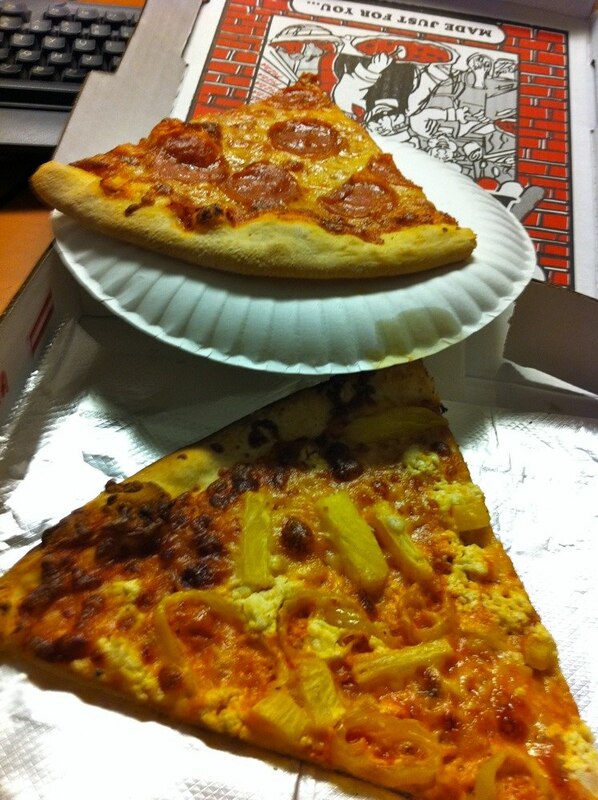 Both slices had a nice crisp New York-style thin crust and delicious toppings. I never really gave banana peppers a chance until now, but I really enjoyed the combination of flavors. The pepperoni was scrumptious. 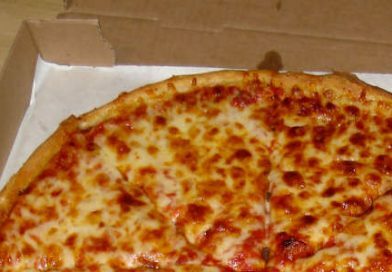 I always am a sucker for some pepperoni. I’d love to give their breakfast a try at the farmer’s market one of these days.